Articles - ARCHITECTURAL REVIEW - The Ark opened its "gates"
The Ark opened its "gates"
We will present you video (interviews) from the opening of the greek pavillion the following days. 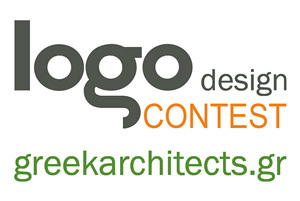 «People meet in architecture», the general title of the 12th International Architecture Exhibition. "Old seeds for new cultures" the theme of the Greek Ark. Lots of people from Greece and abroad attended the opening of the Greek Pavillion at the 12th architectural biennale held in Venice. Greek architects traveled to Venice to support the work of Phoebe Giannisi and Zissis Kotionis , unlike the greek municipality that "shone with their absence". The architectural Ark impressed its visitors and especially by its "allegoric journey" communicating its message across Europe. 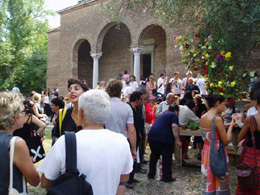 The Greek Pavillion could be regarded as one of the best proposals that have been presented at the 12th biennale of Venice. Without "fireworks" and "fanfare", a talented group of Greek architects and artists managed to create a proposal with substance and intuitions without "screams" and silly grandiose speculative. The economic crisis under way in Greece and in Europe is simultaneously a crisis of production and of employment and, overall, a crisis of human performativity within metropolitan and, indeed, any man-made environments. Beyond the bounds of the metropolis, the agricultural sector is also undergoing a crisis after the collapse of mechanized monocultures and of the European subsidies, Zissis Kotionis commented to greekarchitects.gr. Continuing the presentation of the Ark to the public, he pointed out: The responsibility of architecture goes beyond the bounds of the constructed edifice. It is being defined a new as a set of practices for the planning and management of land spaces. Land is tantamount to cultivation: cultivation of seeds and plants but also of civilisation, interconnections, communication and exchange. The architecture of cultivations, landscaping, the determination of performativity within given spatial fields, all these derive from the software programs which we designate as seeds and, generally, as biogenetic plant material. Phoebe Giannisi , during the presentation, commented : The project of the ‘Ark' attempts to point out, synaesthetically, the relation between, on the one hand, the biogenetic plant material and the seeds which are cultivated and, on the other, the kind of landscape in which we live and the way(s) in which we are metabolised. Metabolism itself is not a biological but a cultural process. The deterioration of nutrition is synonymous with the deterioration of memory and of history which, in the case of Greece, is rich both in terms of diversity and temporal continuity. The Ark which settles on the Pavilion of Greece becomes a condenser - a bank of seeds as well as a field of exchange of both information and plant-seeding material. In addition, the Ark is a kitchen, a space where food is produced out of seeds. Eating brings people together and architecture frames this intimacy. The seeds, plants and fruit are gathered, bearing evidence to the rich Greek biodiversity. The responsibility of showcasing, preserving and restoring the biodiversity within the contemporary urban-agricultural space, is symbolically taken up by the creation and operation of the greek Ark of seeds-come-kitchen, at the 12th architecture Biennale of Venice. An important role for the realisation of the Greek Ark, played the associates of G. Kotionis and P. Giannisi who not only contributed to the excellent theoretical and practical "immunity" of the project, but also served water and carryied crates during the opening day, as the Greek state , for many years now, does not invest in art and culture. Orestis Doumanis. Publisher of Architecture in Greece and Design in Greece magasines. Visitors taste frouts and plant seeds.